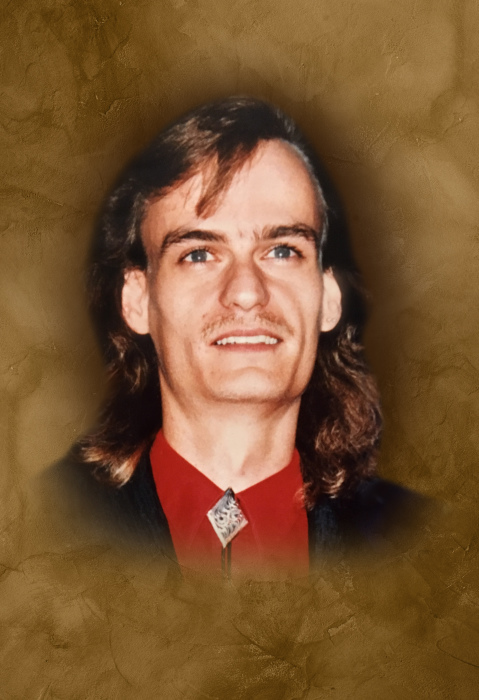 Jamey Douglas Hutchings age 50 of Smithville, passed away Wednesday night, March 27, 2019 at his residence. He was born January 4, 1969 to his parents, Edward and Janie Barnes Hutchings. He was preceded in death by paternal grandparents, Everett and Louise Hutchens and maternal grandparents, Herman and Vella Barnes. Jamey was a Christian and worked as a computer programmer. His passion in life was playing music. From playing in band in high school to playing in the band Why Not, and eventually on to his exciting six year adventure playing in John Conlee's Band which lead to several appearances on the Grand Ole Opry. He continued playing music with the J.J. Hyde Band from Dixon, TN up until the time of his illness. He leaves to cherish his memory, 1 son, Coleman Douglas Hutchings of Charlotte, TN; parents, Edward and Janie Barnes Hutchings of Smithville; 2 brothers, Donathan (Kelly) Hutchings of Decatur, AL and Jonathan (Tina) Hutchings of McMinnville; 2 sisters, Jamey's twin, Darnell Hutchings of Smithville and Janet (Joey) Hutchings of Celina; 4 nephews, Keith Hutchings, Brandon (Jessie) Hutchings, Dustin Hutchings and Jonathan Hutchings; 2 nieces, Jamie (Mark) Trusty and Kelly (John) Licht; great-nieces and nephews, Reonin, Victoria and Abby Hutchings and Zaden Licht; special pet, Kyra; several special aunts, uncles and cousins also survive. Funeral services will be conducted 11:AM Saturday, March 30, 2019 at DeKalb Funeral Chapel with Bro. Michael Hale officiating and burial will follow in Whorton Springs Cemetery. Visitation with the family will be on Friday 1:PM until 8:PM and Saturday 8:AM until the time of the service at 11:AM. DeKalb Funeral Chapel is in charge of the arrangements.